Hiring someone to work as your personal chef means they assist you in your eating and cooking needs. These professionals can help you monitor your diet whether you aim to lose weight or simply eat better food. Having one saves your time and energy because your personal chef can do the grocery shopping for you as well as prepare your meals. The highlight of having a personal chef? You don’t have to take care of the mess and cleaning in the kitchen but can expect a ready gourmet snack or meal in the fridge. You need only to reheat it when you need it. 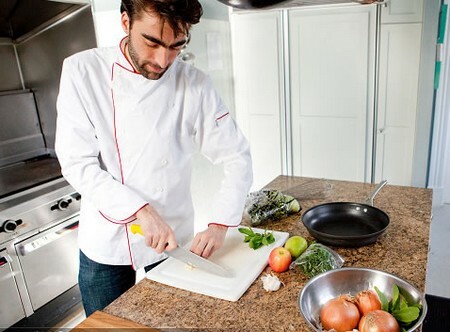 Understand the distinction between a private and personal chef. The first provides services to several clients, normally one each day. A personal chef’s responsibility lies in carefully planning and making meals for a week and storing it in a freezer. Meanwhile, a private chef equates to a stay-in chef who takes charge of preparing and cooking three meals a day. You must know the difference between the two. Know and plan your budget for a weekly basis for the personal chef. Normally, a household with four people averages $40 per meal, excluding groceries. A weekly meal for two persons plus groceries runs about $275 or $250 for only one. Prices differ depending on the area and service level you require. Choose the level of service you need from your personal chef. You will want your chef to make your weekly pre-planned meals and stock them on the fridge. Some chefs prefer to use their personal pans, pots and other cooking implements to use when they prepare your meals in your own kitchen. Start surfing the Internet to look for qualified candidate online, or you can check in the newspaper. You may also contact Hire a Chef or Personal Chefs Network to acquire free listings regarding personal chefs working in your community. Choose a personal chef who understands your culinary standards and requirements and also possesses a good reputation that fits your family’s needs, as she will be a regular mainstay in your household. Request references to learn more about the person’s background and credibility. Discuss your preferences, including each family member’s dietary requirements, with the chef you hire. You can also discuss some special requests so he can employ thoughtful planning of menus ahead of time. Require your personal chef to submit at an agreed time preplanned menus for you to approve. Talk about any changes on the menus and how you would like him to package, label and store your meals. Clarify if the price on which you have agreed includes all these things. Discussing ahead of time every detail will make a good start for a better and long-lasting working relationship with your personal chef.